Suitable temperatures are crucial for successful aquascape maintenance or for keeping fish, shrimps or crayfish. 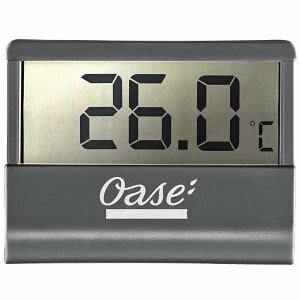 A good thermometer enables you to monitor this temperature closely. 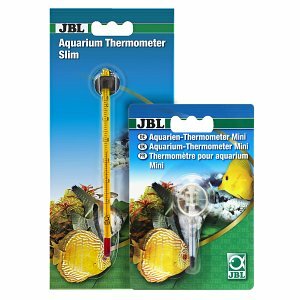 Aquarium thermometers inevitably need contact with the water in order to give reliable parameters. 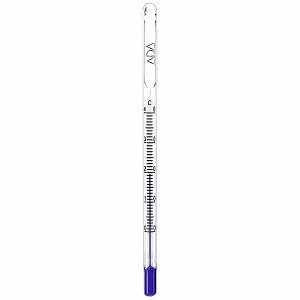 Inconspicuous hanging glass thermometers are an attractive solution for measuring aquarium temperatures reliably and unobtrusively. Both, aquatic plants and the animal inhabitants of an aquarium, such as fish, shrimps, crabs and snails, need the right temperature, which should come as close as possible to the natural conditions in their native biotopes. In aquaristics, this is usually achieved with a heater. For safety reasons, the temperature should be monitored with a thermometer suitable for aquaristic purposes. 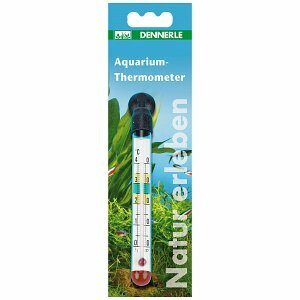 Thermometers for aquariums or aquascapes are available in many different versions. 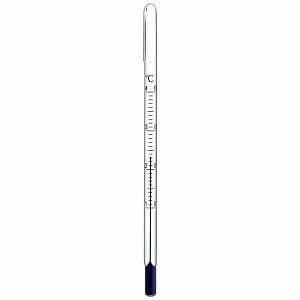 In addition to the classic models with digital displays that are particularly good and easy to read, we offer glass thermometers in our online shop in particular. 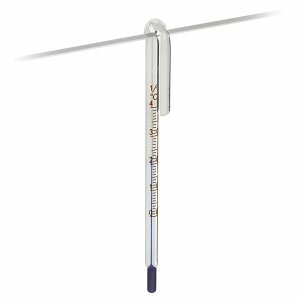 Hang-on thermometers look particularly elegant in open aquascapes without a cover, and simply hung over the edge of the pane. These are notably unobstrisuve and won't leave ugly suction marks on the panes. Hang-on models are very popular mainly in aquascaping, but of course they are also suitable for other branches of aquaristics. When buying a hang-on thermometer, the wall thickness of the aquarium must be taken into account. We offer different sizes in our online shop and count on well-known brand manufacturers such as ADA or Gush.